As is the tradition at the Atlantis Bookshop, there will be an annual declaration of a chapter from the Book of the Law - Liber AL vel Legis - at midday on each of the 8th, 9th and 10th April to commemorate its reception in Cairo in 1904 by Aleister Crowley, the Great Beast himself. Owners Bali and Geraldine Beskin invite everyone to join them at the Atlantis Bookshop on each of these Thelemic feast days to be part of the living history of magick. On Sunday 9th April the shop will be open from 11am to 4pm. It is open Monday to Saturday from 10.30am to 6pm. 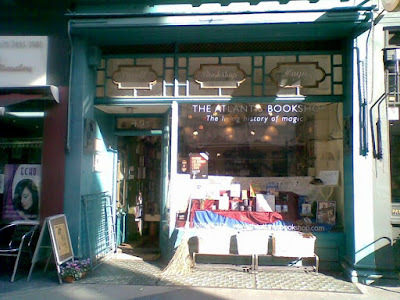 Atlantis, which is one of London's oldest occult bookshops, is at 49A Museum St, London WC1A 1LY. Phone: 020 7405 2120.